I am pleased to announce that President Cyril Ramaphosa will be hosting the inaugural South Africa Investment Conference on 25-27 October 2018. The theme of the conference is ‘Accelerating Growth by Building Partnerships’. The Investment Conference follows a commitment made by the President during the State of the Nation Address in February this year. The aim of the conference is to market the compelling investment opportunities in our country so as to encourage investments and create jobs. This conference is a key milestone in the country’s bold ambition to raise at least R1.2 trillion in new investment over the next five years and one of a series of initiatives being undertaken by government to ensure economic recovery and growth, and to create jobs and prevent further job losses. 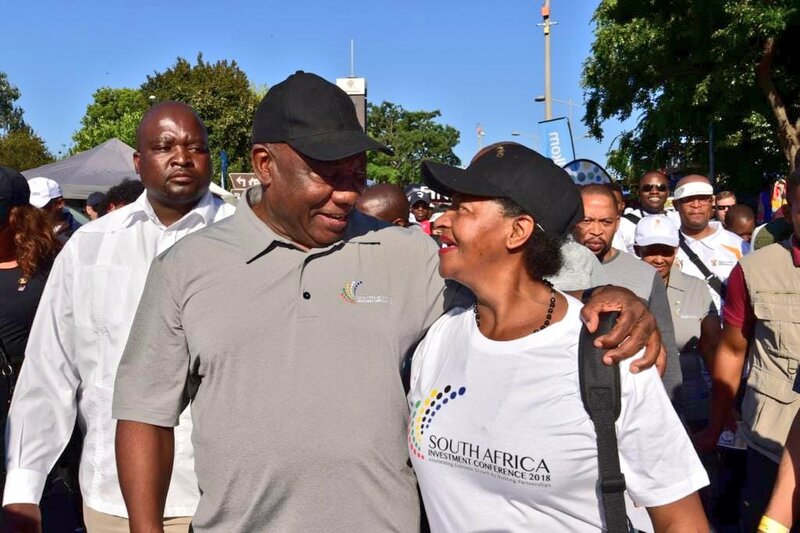 In April this year, President Ramaphosa appointed four investment envoys: former Minister of Finance, Trevor Manuel; the former Deputy Minister of Finance, Mcebisi Jonas; businesswoman, Phumzile Langeni; and veteran businessman, Jaco Maree. In September, in response to negative growth in the first half of the year, President Ramaphosa announced a stimulus and recovery plan to ignite economic activity, restore investor confidence, prevent further job losses and create much needed jobs. Through the stimulus and recovery plan, Government is introducing immediate economic reforms to provide policy certainty and unlock growth in key sectors. Already there has been clear progress in unblocking policy obstacles, including in the mining, energy and tourism sectors, and in addressing issues of governance and corruption. Government is committed to further opening dialogue with business; tackling corruption in state owned entities and government departments; and improving efficiencies of government departments and agencies. The Investment Conference builds on the recent Presidential Job Summit, where labour, business, government and the community constituency adopted a ground breaking Framework Agreement to prevent further job losses, create jobs and support companies in distress. Over the past six months, the President’s investment envoys have engaged in over 150 dialogues with the both domestic and international investors. These interactions have helped to facilitate open communication on the investment climate and on the opportunities for investment that could be unlocked through partnership. These engagements have achieved three broad aspects critical to achieving our objectives for the investment drive, and has contributed to an ‘issues log’, which is a collation of proposals on how government can re-orient policy to stimulate economic growth and increase investor confidence. Government has already established an inter-ministerial committee that is working around the clock to leverage this feedback to improve the ease of doing business. The investment envoys, together with InvestSA, have facilitated the resolution of specific issues related to regulatory permits or licenses, delayed decision-making, work visas and guidance regarding B-BBEE equity equivalent requirements. It is against this backdrop that President Ramaphosa has extended invitations to a select number of CEOs, investors and leaders of civil society to provide a platform to showcase growth and investment prospects in an economy with vast potential and enormous resources. At least one thousand delegates are expected to attend the conference. Government will use the opportunity to engage with investors and share the progress it is making in its journey towards political and economic recovery. This requires strengthening the credibility of our public institutions and unlocking the latent potential and innovative spirit of South Africa’s economy. On 26 October, President Ramaphosa will open the conference, followed by a presentation of a case for investment in South Africa. The presentation will be followed by the announcement of bankable projects and then plenary will break into sector specific sessions around agriculture, agro-processing, mining and manufacturing, transport, ICT, tourism, BPO, film, energy, water and venture capital. Mr Jack Ma, the founder and executive chairman of Alibaba Group, will be the keynote speaker at the Business Dinner on 26 October. The conference will be preceded by a series of networking events on 25 October, including a networking event. 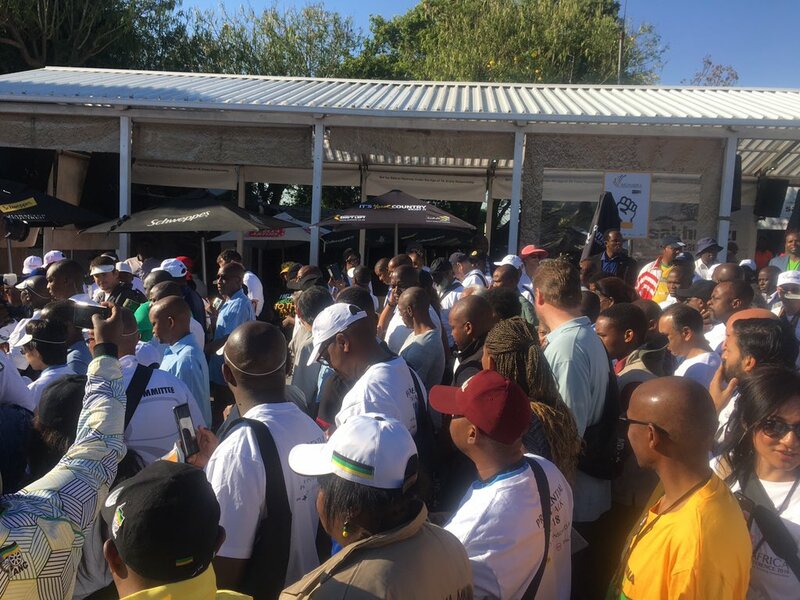 On 27 October 2018, President Ramaphosa will lead a walk along Vilakazi Street in Soweto with delegates. The aim of the walkabout is to showcase the vibrancy of the township economy. The investors will thereafter have an opportunity to hold business-to-business bilateral and business-to-government bilateral meetings. Government calls upon all sectors of society to rally behind this bold initiative to stimulate economic growth and create jobs for all in our communities. Issued by the Inter-Ministerial Committee.